Want to see all the technologies used by toprankblog.com? 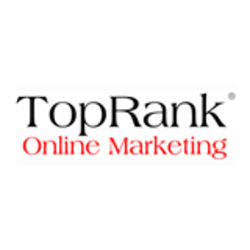 TopRank Online Marketing is a digital marketing agency founded by Lee Odden and Susan Misukanis that helps companies increase sales, brand visibility online and develop better customer engagement. They specialize in content based customer acquisition and relationship programs that emphasize content marketing, social media marketing, influencer marketing. search engine optimization and email marketing. Companies hire us for digital marketing strategy, consulting, training and implementation services. For a quick look at additional technographic info on toprankblog.com or any domain on the web, download our Chrome Extension. Check out our help article to see how Datanyze Insider can help you.